Temporary Freeview multiplexes offering additional HD and SD channels to nearly three-quarters of UK households look set to go off-air by the end of March 2020 with viewers likely to have to start retuning their Freeview devices due to frequency changes from the end of next year. It follows the release of the 700MHz frequency band, currently used by Freeview services, to mobile network operators in the UK and around the world. Ofcom now intends to accelerate the process in the UK and hand over the frequencies for mobile data use during 2020, meaning there will be major frequency changes as services shuffle around to new frequencies and multiplexes COM7 and 8, which carry services including BBC Four HD and Al Jazeera are turned off. Under current Ofcom proposals, half of the transmitters carrying these services would be affected by a frequency change by the end of 2018. In a consultation document published on Friday, Ofcom confirmed it intended to allocate the whole 700MHz band to mobile data services, with the central part of the band to be used by Supplemental Downlink - a new mobile broadband technology which provides additional downlink bandwidth to the capacity of paired spectrum in another frequency band. It is likely to be particularly suited for applications such as streaming videos. 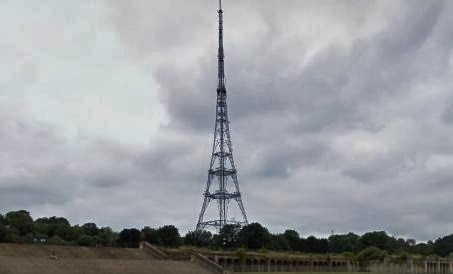 Multiplex operator Arqiva had suggested that the temporary COM7 and 8 multiplexes be preserved until 2023 using the middle part of the 700MHz frequency band. Dismissing the suggestion, Ofcom said such an allocation could interfere with other services on adjacent frequencies. However, the final outcome will be subject to the results of the consultation. How will it affect Freeview users? To enable viewers to continue watching the same range of channels, services will to be migrated to the newer DVB-T2 standard or change to online delivery. Viewers with older non-DVB-T2 compatible devices (i.e. those that do not list any services between channel 101 and 119) are likely to gradually lose access to services as a result. During the transitional phase from the end of 2017 through to 2020, viewers will be required to retune their Freeview devices as frequencies change. In some areas, coverage may vary during this time. The changes will also affect BT TV, Plusnet TV and TalkTalk TV users, who use a hybrid TV service on the YouView platform. Similar moves are happening in other countries, where the 700MHz frequency band is being cleared, coinciding with a drive to move to an all-HD future: In Germany, selected areas will begin to transition to an HD terrestrial service later this year. In France, terrestrial TV will switch to HD next month. In the Netherlands, TV via an aerial will be reconfigured in the coming three years to enable HD transmissions. Here in the UK, major broadcasters are also planning for an HD-only future, plans which are likely to take shape alongside the frequency changes. I think you mean a DVB-T2 only future. I'm sure plenty of the minor channels will continue to broadcast in SD only long after all this frequency shuffling is over. We're referring to major broadcasters, who are planning an HD-only future. I wonder will the same retune happen in Ireland with Saorview and hopefully we also have a HD future. Michael - Saorview is equipped to go fully HD at this time but UTV Ireland and TV3 Ireland remain on SD from my understanding!